for SATB and piano or orchestra This delightful new arrangement of the popular traditional carol is presented in both English and the original French. 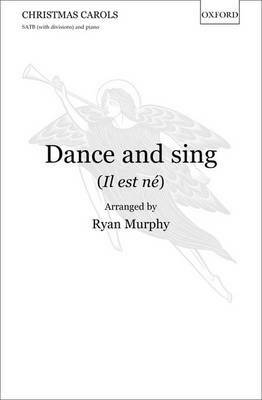 Murphy manipulates the melodic material cleverly, and a variety of textures, dancing cross-rhythms, and interweaving motifs make this piece great fun to sing and the perfect way to end a Christmas concert on a high. Orchestral material is available on hire/rental. The orchestral version of Dance and sing features on the CD 'The Most Wonderful Time of the Year' by the Mormon Tabernacle Choir with the Orchestra at Temple Square, conducted by Mack Wilberg (SKU 5042001).